Silent auction items in the Pritzker Military Museum & Library on April 3. 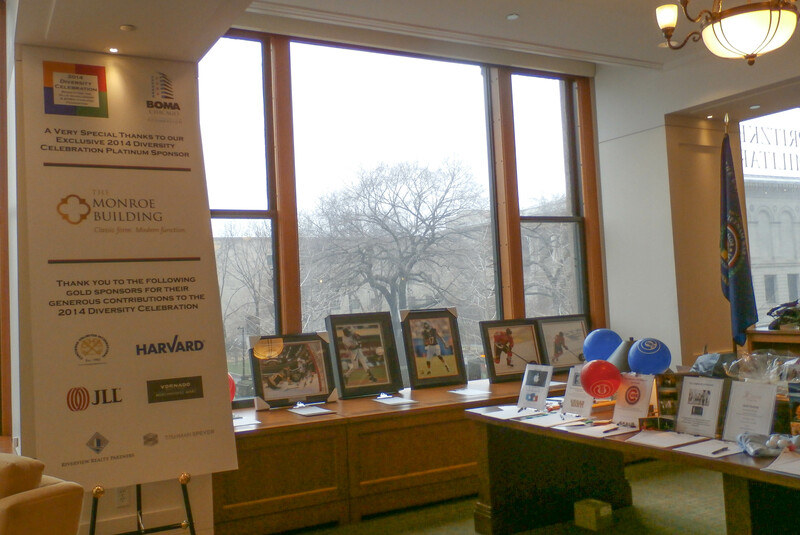 Thank you again to our sponsors and to all of the BOMA/Chicago members who attended the April 3 Diversity Celebration. 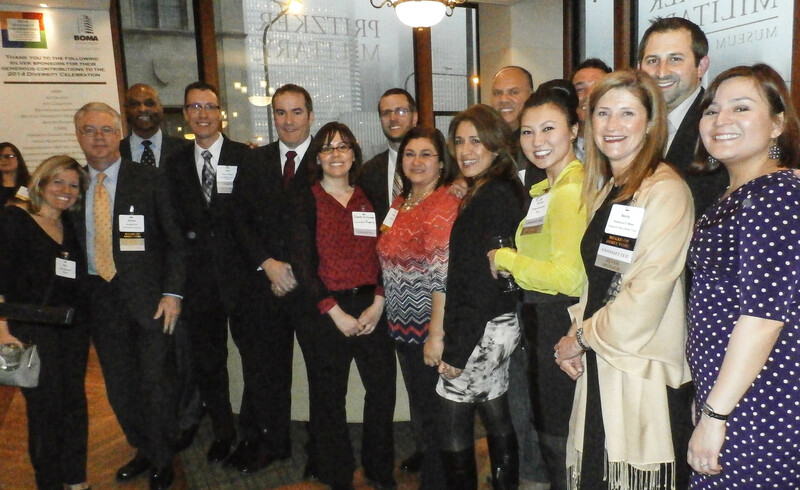 Click here to check out photos from the event. Leave us a comment below regarding your thoughts on our diversity initiative or tips for success for Angela and Yordanos. 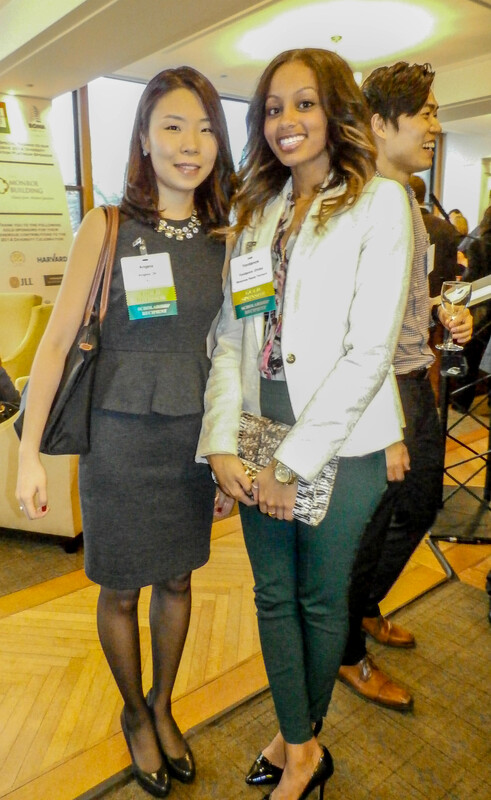 This entry was posted in BOMA/Chicago Events, Chicago CRE Industry, Chicago CRE industry and philanthropy, Continuing Education, Property Management and tagged 2014 Diversity Celebration, 330 North Wabash, 71 South Wacker, AlliedBarton Security Services, Anamaria Spiteri, Angela Oh, BOMA/Chicago Foundation, Brian Staunton, CBRE, Daniel Burnham, Diversity & Corporate Social Responsibility Committee, Diversity Celebration, George Kohl, J & J ARNACO LLC, Jeff Tigchelaar, JLL, Landscape Concepts Management, Lourdes Becerra, make no little plans, Monroe Building, Ollie Scholarship, Paul Rades, Pritzker Military Museum & Library, Real Property Administrator (RPA), Reggie Ollie, Reginald L. Ollie, Reginald L. Ollie Inclusion and Outreach Scholarship, Riverview Realty Partners, RPA, Yordanos Ghdey. Bookmark the permalink.